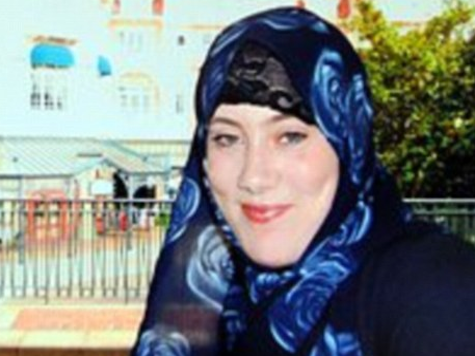 The British Muslim convert known as the ‘White Widow’ has joined ISIS and is training a female suicide bomber squad in Syria, it has been reported. The mother-of-four – who is the widow of one of the 7/7 suicide bombers – is charged with plotting a bombing campaign across Kenya in 2011. Now she is allegedly overseeing the training of the women in Islamic State’s headquarters, as well as teaching militants how to manipulate western media.She is so highly regarded she is known as the ‘Special One’, reports the Daily Star Sunday. A source told the paper: ‘There has been mention of a woman joining IS after being married to a jihadi fighter who became a martyr and there have been references to attacks in Africa. ‘IS have plenty of fighters but they lack someone who really understands how to exploit the western media and this is where her strength is. Lewthwaite, who converted to Islam at the age of 17, was identified as a main recruiter for Al Qaeda in East Africa and is an official spokesman for terror group Al Shabaab. The group admitted to a string of attacks in Kenya including last September’s assault on Nairobi’s Westgate shopping mall last year that claimed at least 67 lives. She is wanted in Kenya on charges of being in possession of explosives and conspiracy to commit a felony dating back to December 2011.